Students in the Youth Empowerment Project on a college tour last year. Photo courtesy of YEP. 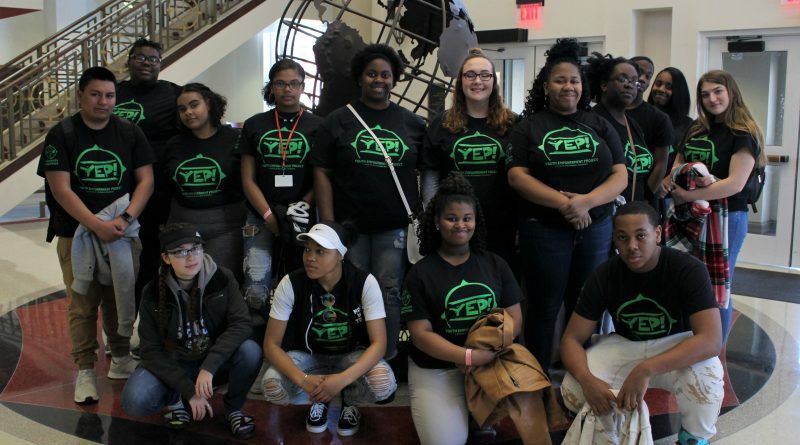 For years, local students in Community enCompass’ Youth Empowerment Project [YEP] have volunteered countless hours in our region, doing everything from rehabilitating homes in the Nelson neighborhood and mentoring younger children to raising awareness around mental health and creating powerful and thought-provoking art—and much more. 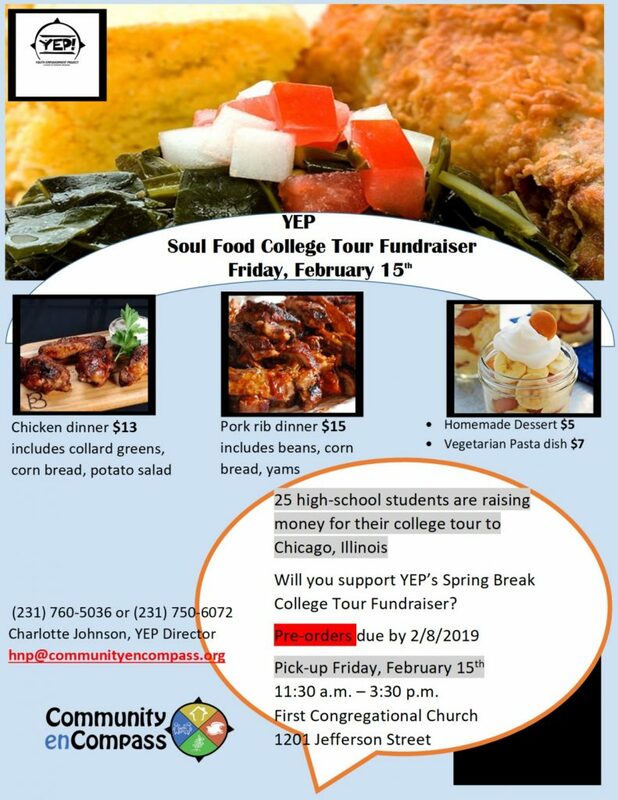 Now, community members have the chance to give back to the students: YEP is holding a soul food fundraiser to earn the money needed to send 25 area high school students on a college tour in Chicago. For the fundraiser, students will be offering a chicken dinner for $13, a pork rib dinner for $15, a vegetarian pasta dish for $7, and a homemade dessert for $5. You must pre-order your meals by Friday, Feb. 8. To pre-order, email YEP Director Charlotte Johnson at hnp@communityencompass.org or call 231-760-5036. Food pick-ups will be held at the First Congregational Church (1201 Jefferson St.) on Feb. 15 from 11:30am to 3:30pm. The money raised will help to send students on college tours—something that Community enCompass leaders note is hugely important in helping area teens see college as a real and tangible option for their future. 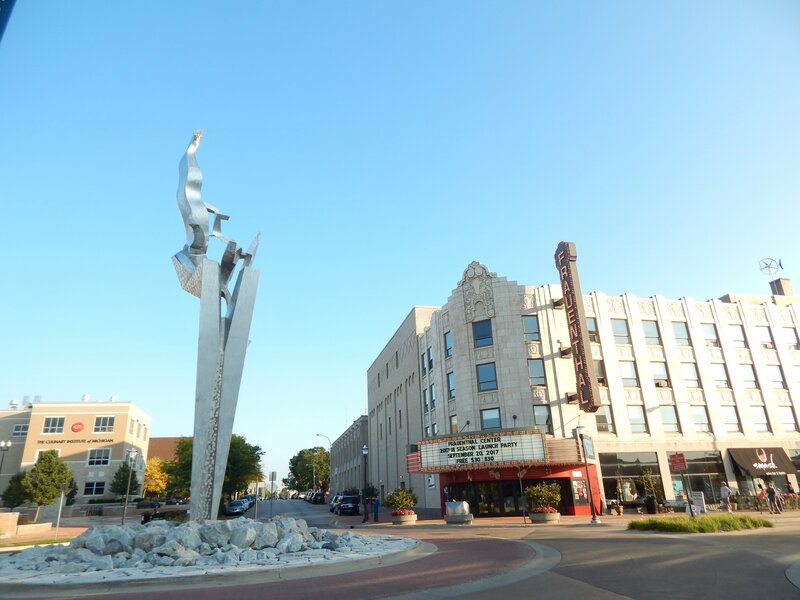 Efforts to encourage college among YEP students have been successful; 85 percent of YEP students who graduate from high school go on to college—including such institutions as Muskegon Community College, Baker College, Ferris State University, Grand Valley State University, Kendall College of Art and Design, Michigan State, Johns Hopkins University, Yale University, and the Culinary Institute of Michigan, among others. Danyell Sargent, a YEP member, said a previous college tour changed her entire perspective on pursuing an education after high school. To see all of the details about the fundraiser, please view the flyer below.